All the way from Bwlch-Y-Ffridd in Wales, a much-modified van body. 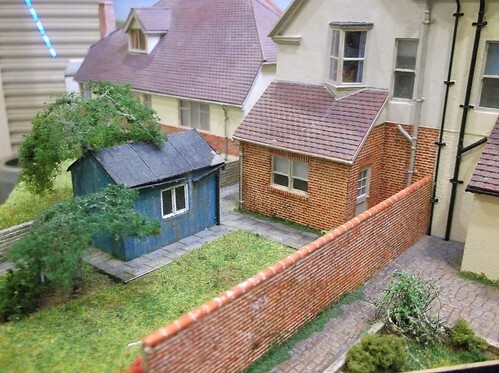 End doors, corrugated iron roof, lichen clinging to the woodwork - all great features on a model. So, I alone in all the world can create the finest orange at will? Reading the instructions, one point jumped out at me. 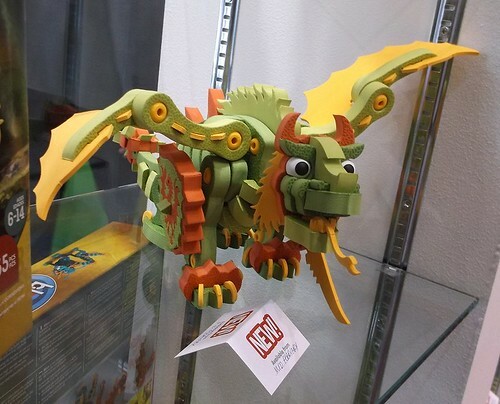 Rather than specify a body colour, the modeller is told to mix equal parts of green and metalic gold. Hmmm. Well, you are supposed to use Revell acrylic paints for this and around here they are slightly less common than rocking horse poo, but I couldn't see why enamel wouldn't work. And you are supposed to use the finest green, and I had decided to use orange. No worries, I mixed gloss orange and gold then blasted the model using my airbrush. Amazingly, it worked! OK, the first go was a bit too gold. Adding more orange tilted the balance the other way. A bit more gold and finally I was happy. It's now gloss orange but definitely not just gloss orange, there is a different shine. I can't imaging why I'll ever want to us this on a railway project, but it's a technique for a future racing boat I'm sure. We're all supposed to have "Bucket Lists" - that is a list of things we'd like to do before we kick the bucket. You're supposed to want to chuck yourself out of a perfectly good aeroplane or annoy dolphins by swimming with them. Quite what Flipper gets out of having some loon hanging on to his fin while gurning for Instagram isn't recorded, but then we can't spot the Vogons. Anyway, I can't be bothered with all that, but if I did, building a kit car would be on there. The car I'd probably build is a beach buggy. They look great, make no pretense at being practical and ye should be reasonably simple. To build your buggy, take a VW Beetle chassis. Bolt the 1-piece fibreglass buggy body on top. Fit electrics etc. and you are done. It really doesn't sound too hard. Only a lack of space, time and money is stopping me. As a kid, I built the Airfix 1/32nd version. Painted orange, it has long since disappeared into landfill. Attempts to replace it has floundered on it's unavailability at a price I'm willing to pay. £60+ seems to be the going rate as the model has never re-appeared in the Airfix range. 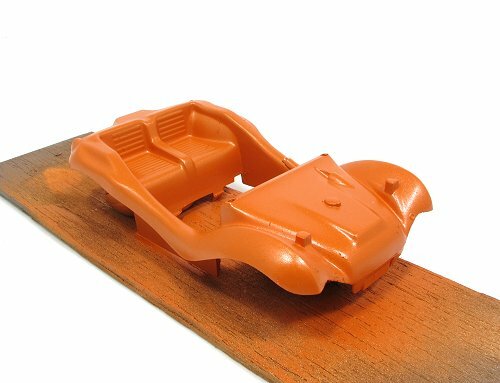 Actually, this might be an orange car thing as the Bond Bug from the same series is also rare and never repeated. 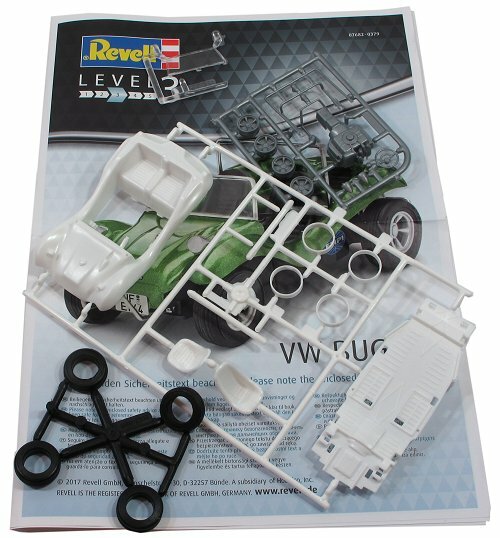 Anyway, when Revell announced a version, I was ready for it. My model was picked up at the IPMS show last year for well under a tenner. OK, it doesn't feature the scantily clad driver or girlfriend Airfix supplied, but this still seemed like good value. For the money, you get a lot of box and not that many plastic parts as you can see. Tyres are rubber, something people get excited about but doesn't bother me. I have black paint and you can model a realistic bulge in a hard plastic tyre. And clean the mould marks off. So, I set off assembling the model, but not before reading the instructions and finding something new. More tomorrow. As those who are signed up to the new BRM Express e-newsletter will know, I spent last Sunday in the company of 11 other modellers operating Geoff Taylor's Barmouth Junction layout. Starting as the most junior operator in charge of shunting trains in the fiddle yard, I quickly proved my incompetence at using Kadee couplings. I could them to uncouple but not stay uncoupled when pushing a rake of coaches. Obviously this is the fault of Americans. Hornby Dublo couplings made of proper British steel would have worked perfectly. The layout is divided up into three stations and a scenic running line. Trains disappear from view for quite a long time as they circulate under baseboards which is a bit disconcerting for the novice too. The thing is, this model works like a real railway. There are drivers and signalmen. Trains are signalled out and directed by bells, and a bit of shouting. I've not experienced anything like this since Australia. 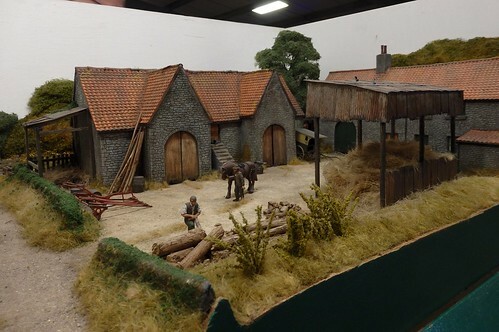 In the UK, we build model railways as theatre for shows most of the time. Multi-station, permanent set-ups are a lot rarer. Which is why it's such fun to have the chance to operate one, especially when the modelling is as superb as this. 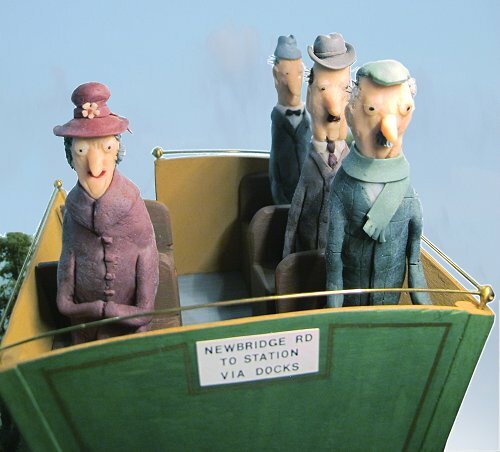 We've seen a couple of miniature signalboxes this week, let's spot a third on the Great Cockrow railway courtesy of Pathe News. The commentator makes one point that I've often laboured when chatting to people - the sheer variety of different folks you meet taking part in a hobby. As I point out to da kidz at shows, you never know when being aqauinted with a barriser or bishop might be useful. There aren't many tools I aspire to own, but a cheaper item on this list the the H&M Locomotive tester. Dating back to the 1980s as I recall, this is a rather nice rolling road that works for both diesel and steam locomotives. 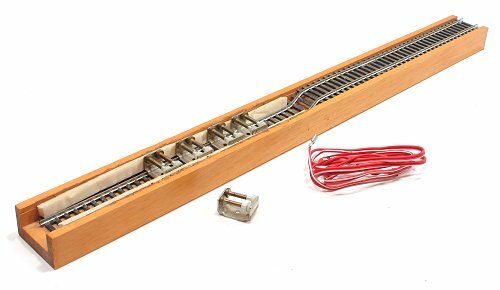 Hosues in a wooden base, a length of track has been bent (in a press presumably as it's very neat) so one end can support a non-powered bogie or tender with pickups. The lower level is home to the rollers - brass with plastic ends. These only power one side at a time so you have to flip them around to make sure both polarities are delivered to the model. Knowing how the loco picks up and from where is a bit help here. Foam strips hold them in place and stop too much wobble. These have aged, but I'm pretty certain something suitable can be bought from a DIY store. While I own a Bachyrus rolling road, which allows for multiple gauges, most construation will be in OO, and this is a lovely thing and still workd perfectly. Price, £20 from Stafford second hand still and worth every penny. 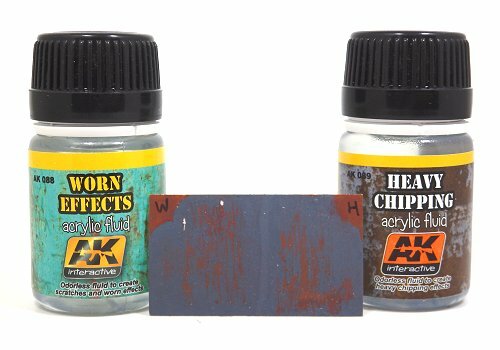 Time for a bit of a play with something the plastic modellers have used for some time - AK Interactive Worn Effects and Heavy Chipping fluids. Anyway, my test started with a rusty coat of enamel on plastic sheet. Left to dry it received a coat of both fluids (not on top of each other, one each side of the plastic) left to dry and then a coat of blue enamel. Once this lot was dry, as per the instructions, I gave the sides a wash of the magic fluid and scrubbed them with a bit of wood on the workbench. I'm quite happy with what I got. Heavy chipping scratched more than Worn Effects. There is skill required in the scraping to produce something that resembles real wear, but looking at photos will help. 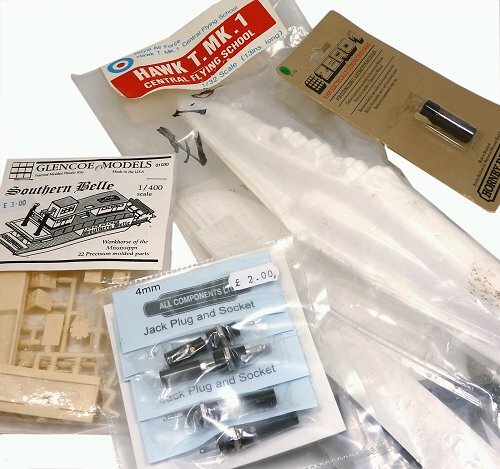 Thanks to Hobby Holidays for supplying these products. Yesterday we had a tiny model signal box. Today, a tiny full-sized one. 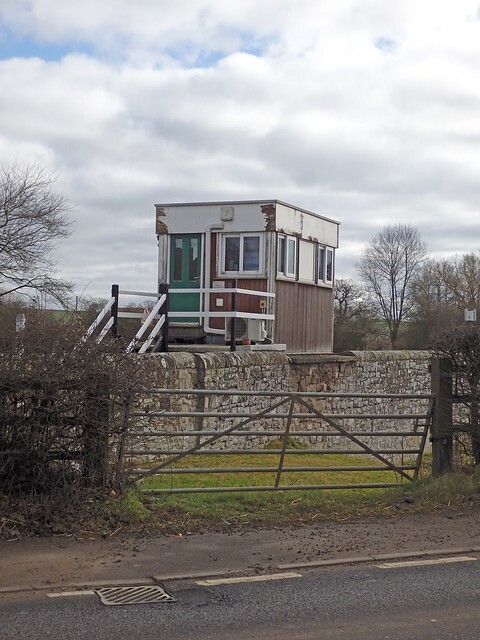 Onibury, found on the Shrewsbury to Hereford line, sits beside a level crossing and closed station that is now a private residence. 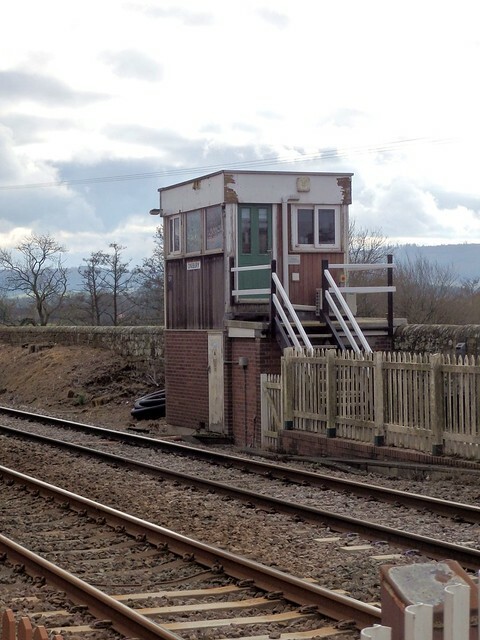 The current box opened in 1977 according to the Signal Box discussion forum. You can find more details on the Signalling Record Society website. Let's be honest, this isn't a beautiful building, but I like it a lot. For a start, modelling would be simple if a few basic measurements were available. Those could possibly be worked out from the height of the door.I also like ugly structures to show off the beauty of the surroundings. 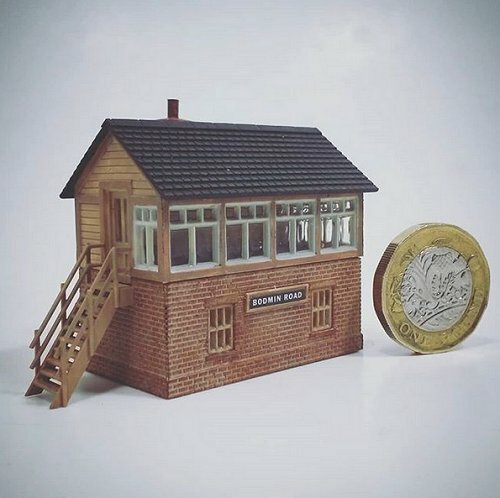 A little project - the Peco NB-3 signal box kit - part of a future Cake Box model. It's a nice kit. 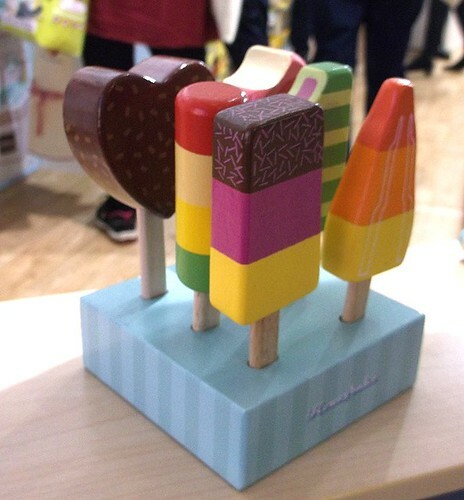 Everything goes together well and if you are careful with the painting, the result is a very pleasing model. I've glazed the windows with Krystal-Klear rather than the supplied plastic to give a flusher look to the glass, but otherwise, the instructions were followed to the letter. N gauge seems to tiny though compared to other stuff I've built recently. 58mm long and 31 mm from front to back, I'd think that anyone could easily find space for it on a layout. 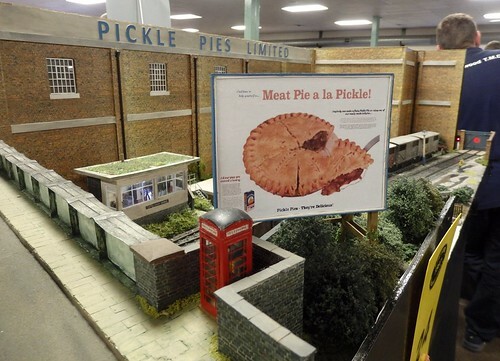 This being the Interweb, the law seems to be that once you've been to a model railway show, the contents of your shopping bag must be posted for all to see and covet. Well, here's my stash from Doncaster. So, no trains then. Must try harder. As I write this, it's a week beyond my arriving at Doncaster racecourse for the Festival of British Railway Modelling. Getting in before lunch meant I was there in time to do some filming for our DVD where we look behind the scene at the show, talking to layout owners and traders to understand why they trek around the country every weekend. 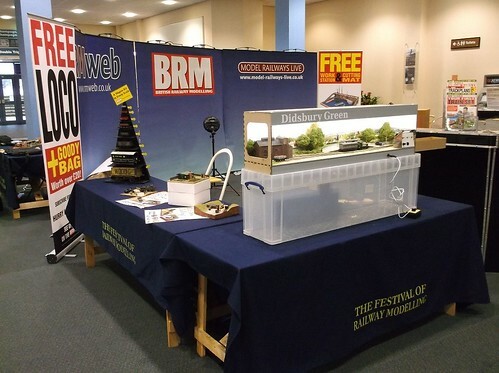 My corner of the BRM stand included Didsbury Green and some cake box models I've built - including one not yet seen in the pages of the magazine. To be honest, it was also the part of the show I saw the most. If I managed to get out, this was normally for filming purposes. Other than that, it was chat, chat, chat. 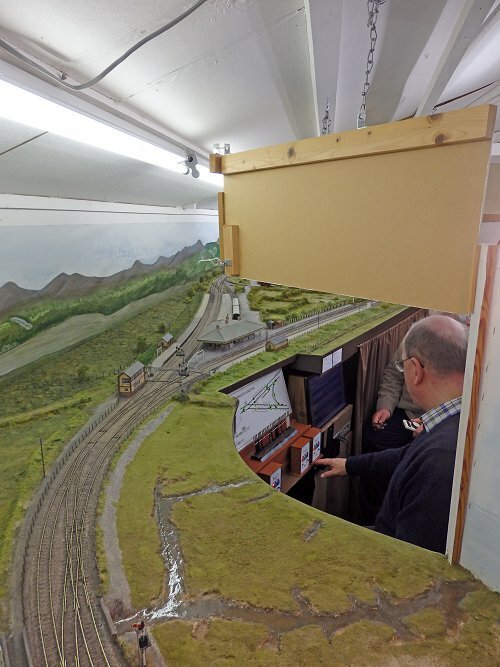 The crowds were treated to some cracking model railway layouts. Liverpool Lime Street is a massive project and one of those models you need to see several times to get over the "It's massive" initial impressions and start appreciating the details. I also love Sidmouth. In spite of being P4, it's properly modelled, not just engineered. The whole scene has a real life. Houses that look new for their period, industrial structures that look old. Another model that repays repeated visit. 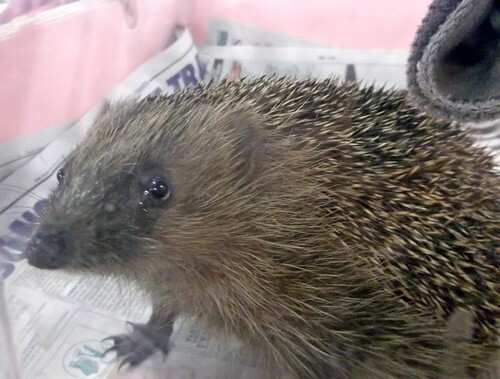 And finally, a mention of the hedgehogs. All the way from Andrews Hedgehog Hospital (Andrew passed away last year from old age) they are still the cutest beings in the hall and yes, we did film an interview with them! This week we see a legendary layout that I read about many times, but never saw for real. Don Jones model of Birmingham New Street station. At the time, this vast project was utterly audacious. Massive and complicated, with full-size city buildings and very close to full-size cooling towers. OK, it was crude in places, but then the time to do this in finescale with the entire cityscape would (is in one case) vast. The film is particularly interesting in that it shows a pre-rebuild Birmingham. We see the old Bullring shopping centre for example. 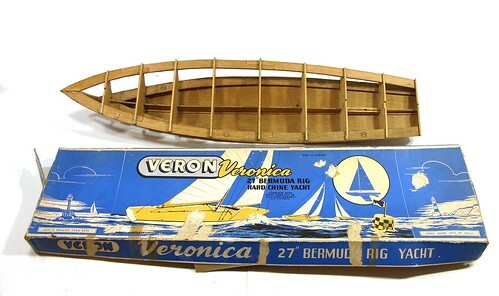 Found in an attic by a fellow railway modeller, this Veron Veronica kit must date back to the 1960s. 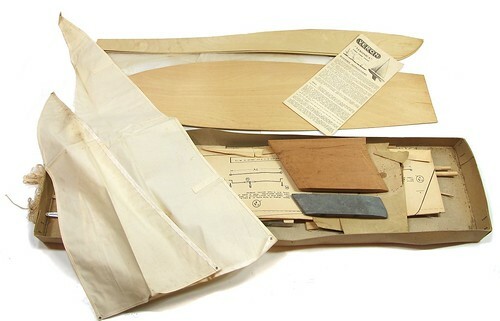 His father had started the kit, and built the hull to a high standard, and then for some reason stopped and put it away. Years later, his son is looking for a home for the model and I am happy to help. Inside the box are the suit of sails - very nicely made and ready to use. No piece of material and pattern here! The keel consists of a hardwood part onto which is screwed a cast lead lump. The mast is split in two and joined by a brass ring. The wooden ends are turned down to fit in it. This is a quality kit. I'm not into yachts but know someone who (hopefully) can do the model justice. If it makes it on to the water, I'll be sure to bring you a photo. Plenty of excellent stuff in this month's Garden Rail. 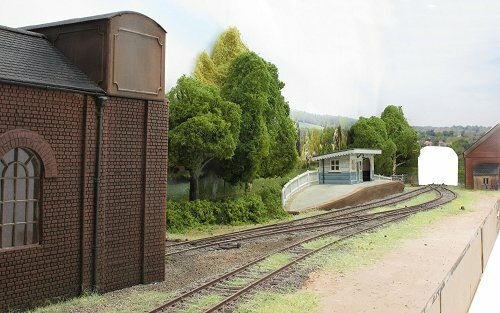 Our main layout is the 71 mile track laid for The Biggest Little Railway in the World TV series. One of the stars, Andy Christie spills the beans on his role in the show - mainly as one of the top link team charged with driving the loco to success. Not before he helped build a couple of the super structures shown, the 60 metre long viaduct and s-shaped trestle bridge. 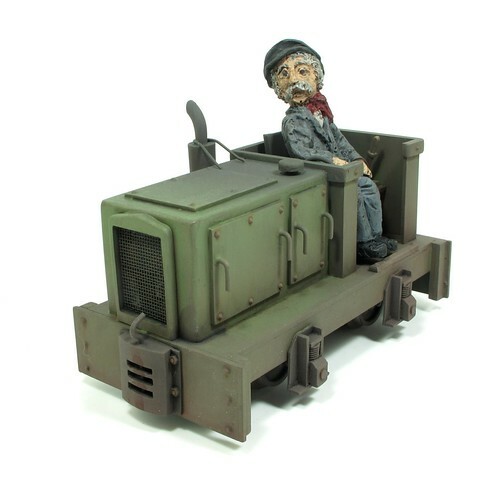 We also demob a WW1 "Tin Turtle", turn Timpo coaches into light railway G1 models, assembled a GVT van and couple of kits from Harecroft, visit a G3 open day and examine scales and gauges for the larger scales. The last feature includes something I've never known before - a watercolour painting commissioned from artist Rob Bennett. The building could be any posh companies modern HQ, but it wouldn't be hard to model, especially if you use some reflective sheet rather than clear plastic. At least that way you don't need to build an interior. However, if you do want to go the whole hog, you'll need to find a Eurostar power car, as there is one tucked away at the back of the building. And with a few washes of Lifecolor dirt followed by a blast of same (thinned with windscreen wash) from my airbrush, Dotti is ready for service. On the track, she's a bit light. Attempting to haul a Brandbright coach around our local track, she struggled several times. Single axle drive and only one of those means she's best suited to short trains of wagons. 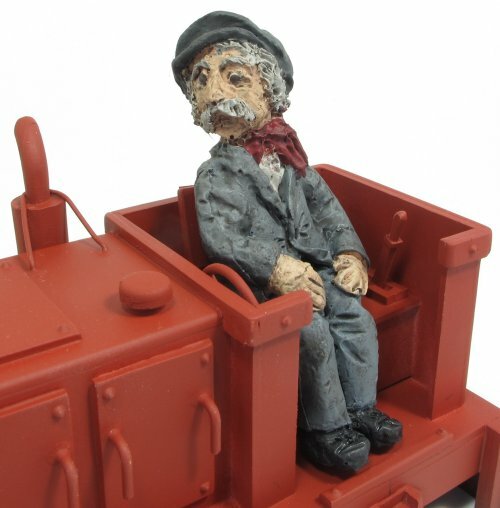 Perhaps I need to unearth those weathered "Big Big" tippers! Maybe a few chunks of lead hidden underneath will help, but in truth some derelin chain and more cogs are required. Not today though. Other projects beckon. Dotti is a bit of a test bed and this continues as the paint goes on. I'm pondering if I need more acrylic paint and less enamel in my life. Water-based paint seems like a better thing, it certainly smells less. 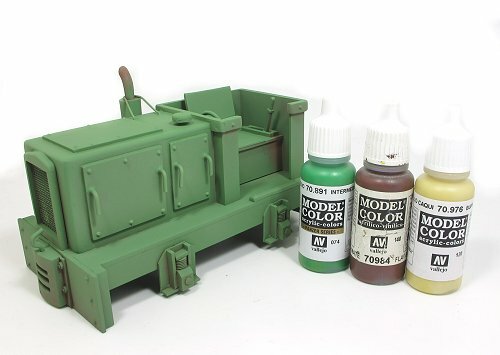 Anyway, after priming with Halfords best red oxide colour, I've sprayed the model using Vallejo for no other reason than it seemed like a good idea. I'm told this paint outsells Humbrol in Europe so there must be something good about it. I'll admit I've used some of the earth shades for weathering in the past, but this is the first time I've used it as the main colour. Thinned with car windscreen was, a tip picked up from plastic kit modellers, it flowed well and has given a nice finish. Some of the red oxide shows through in places as planned and I highlighted with a mix of base colour let down with beige. I'm happy with the results this time so I'll be trying it again. Sadly, supply isn't easy (I got mine from Ian Allan in Birmingham) which precludes its use in magazine projects. 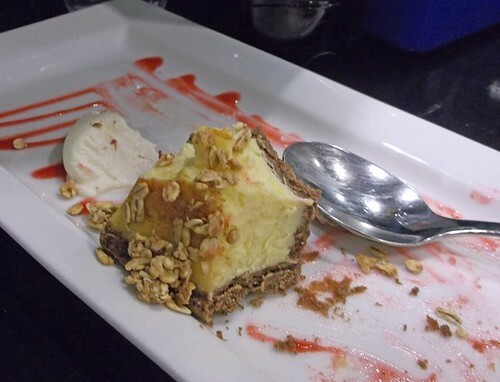 Take more cash out of the hole in the wall before you go. It's not because the showground is a notorious mobile phone, and therefore mobile PDQ machine, blackspot. The signal still hasn't reached there yet - although WiFi was available if you knew the password which several traders did. No, it's because I seemed to want to spend money on stands that didn't take plastic. The second-hand stall is obvious. Fine, except I threw nearly half my measly wad over the counter there for something I'll cover in a future blog post. More of a surprise was the on-site cafe. Excellent food, but cash only. The guy behind me in the lunch queue didn't check this and found himself scrabbling around in his pockets to make up the bill. I'll admit that my sausage batch would have been chilli and rice if I hadn't been thinking of a kit I fancied but would them leave me out of folding cash. Lovely bangers in a bun, but a card machine would bring in more income. I felt the show was busier than normal on Saturday morning. Most of my photos are post lunch when it quietened down a bit. One trader I know admits to his best ever sales this year so not only were there people, they were spending money. Someone beat me to that kit! Layouts were as usual, really good. 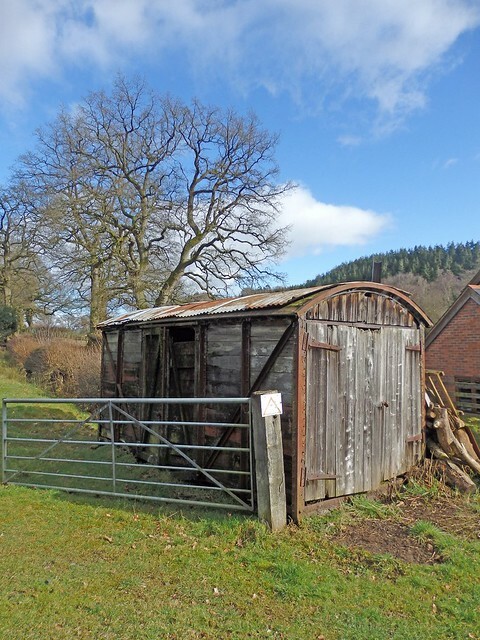 I particularly liked the farm on Bleadon, so much so I didn't look much at the railway side! 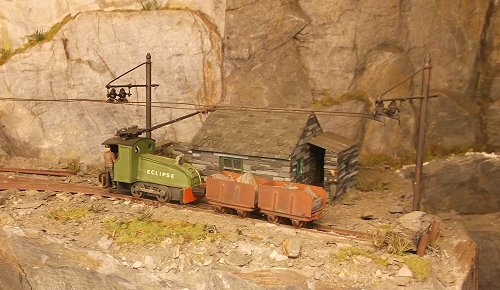 Winner of the best layout competition was Campbell's Quarry, a lovely little 16mm scale model with working diggers. Unusual choice but worthy against stiff competition. Several new traders were listed again this year and the mix was pretty good. RTR boxes and some finescale stuff as well. Certainly some wallet-damaging opportunities. All this and a vintage(! - 1970s - that's not vintage is it? Surely it was only a year or two ago...) bus trip from the station each way too. File this one firmly in the "Films I didn't think existed" drawer. A silent Pathe news film showing the Ford railcars running on the Kent & East Sussex Railway. Hardly any photos of these things exist so moving film is a real bonus. Looking at the lineside shows just how exposed it was. Nowadays we have far more trees and undergrowth around the lines. There's a brief shot at the end of a station (Robertsbridge) looking pretty tidy. Mind you, since the line provided a steam loco for the camera to film the railcars, I suspect there may have been some tidying up for publicity purposes. It's time for me to head up to Doncaster for the Festival of British Railway Modelling. So, check out the website and then come and say hello! 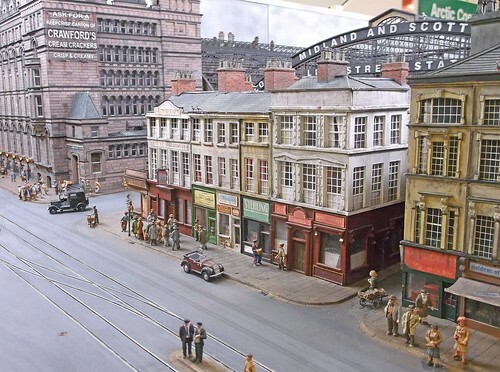 Considering that Bourne and its surrounding area are home to 3 of the 4 main model railway magazines in the UK, it's amazing that there has been a dearth of model shops until very recently. 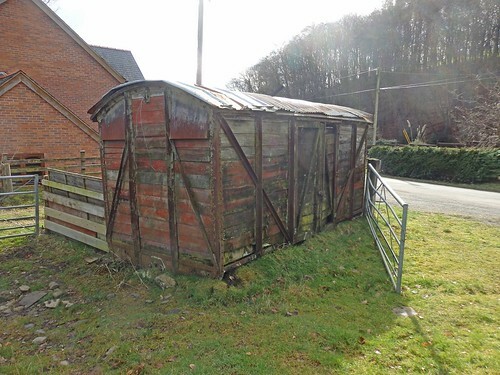 Desperate builders for magazine projects need somewhere to go, and the chances of some useful publicity must be higher there than anywhere else. 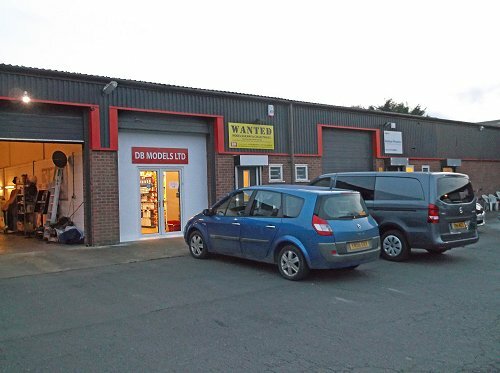 Anyway, DB Models are making the move from an eBay only store selling second hand to a proper shop in an industrial unit selling new products. Although still setting up during my visit, there were all the usual paints and glues you'd expect, soon to be joined by Railmatch and Precision ranges. All the RTR manufacturers are stocked as well as the Peco range. It's a good sizedshop with lots of very browsable products. There will be second hand too, and a nice new shiny website. For the moment though head to the eBay store. 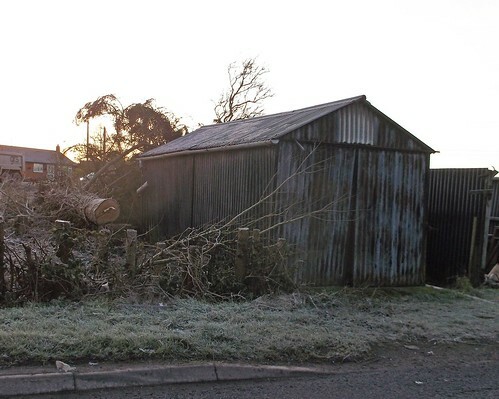 Back in 2015, I looked at a corrugated iron garage disappearing under a tree. The tantalising view each time I passed by made me want to know more. Well, now I can. A couple of months ago, the undergrowth was hacked away and the building now stands proud. The trouble is, it's a great view, but normally impossible to photograph. Unless you go early when there is so little traffic you can pull up and nip out for a couple of quick snaps. I didn't even bother to aim properly, hoping I could crop down enough for a decent picture. The results, thanks to some Photoshop work on the shadows, look OK. I suspect the garage belongs to the house on the other side of the road. 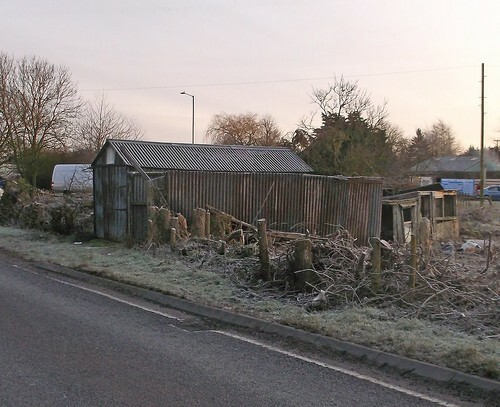 In fact, there appears to be an allotment or even smallholding of some kind under all the trees. Why they have gone we will doubtless find out eventually, but for the moment, the buildings can enjoy their days in the sun again. 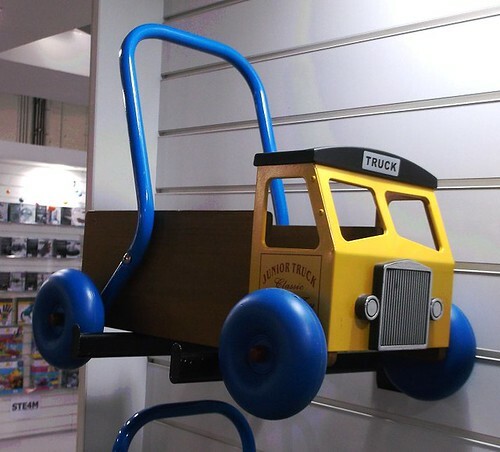 The LondonToy Fair usually sees me leave with an SD card full of photos, a bill for a stupidly expensive sandwich, and very little else. Not this year. The kind people on the Ugears stand gave me a freebie - 4 tiny kits to make up. 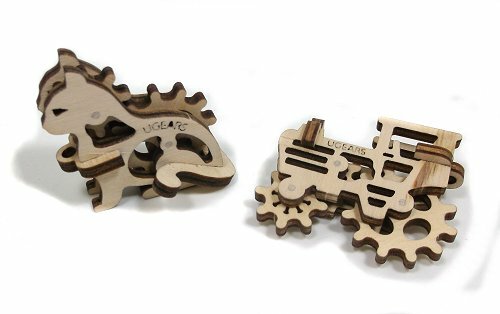 Parts for each are pushed out of the laser-cut fret and slotted together with the aid of toothpicks used as axles. Each model is a key fob or Christmas tree bauble. Inside the shape are a couple of gears that can be spun. Assembly takes a few minutes, most of which is spent sanding the trimmed down axles nice and flush for a neat finish. 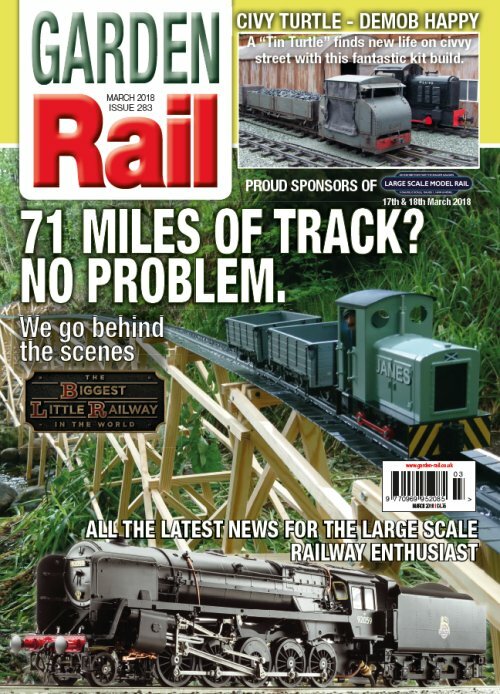 Caveat: I have met the producer of "The Biggest Little Railway in the World" a couple of times and read two accounts from those who took part, one of which will appear in the March issue of Garden Rail. I do, therefore, have some behind the scenes knowledge. Basically - I liked it. The first thing to realise is we are watching a TV programme. One designed for "normal" people. One that has to entertain enough to attract advertisers to pay for it all. Because of this, the five episodes have to feature human interest stories, we need to care about the participants, and plenty of action. If the who shebang goes without a hitch then it's going to be boring. It didn't. It wasn't. This requires a certain amount of TV trickery. The producers had surveyed the route (or at least virtually all of it) before filming and they knew where the difficult bits were going to be. In this case, that's where the special build teams found themselves, and the people on that team got a lot more screen time than those just laying mile after mile of plastic track in the middle of nowhere. The special designs have been stunning. The 60-metre long viaduct and trestle bridge are both amazing structures. One suspects that the team were given reasonably well worked out "suggestions" so that the right tools and materials were to hand. 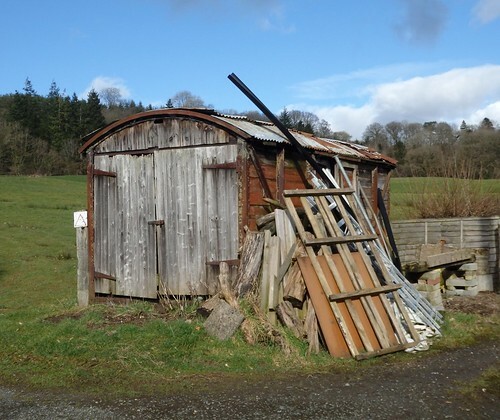 This took place in deepest Scotland so any bright spark suggesting that the solution would involve carbon fibre and nanotubes would be quietly taken to one side, pointed at a van full of wood and some woodworking tools, and told to get on with it. With 2 weeks for the project (the most many people will be able to take off work) and 71 miles to build, that's how life is, but then you didn't believe all those projects on Top Gear were carried out the way it appeared on screen did you? As ever with this type of show, there's a lot of human interest stuff and we got to know a few of the personalities wearing hi-viz. There were emotional back-stories of course, TV loves a little bit of a blubber, but also people showing skill and determination. You could see the teams starting to gel as they fought the elements and landscape. We were encouraged to care about them and I think we generally did. OK, some people come out of the edit better than others, but you could see the hard work involved and the frustrations, and competitive spirit, along the way. A few justified more depth and we got it. 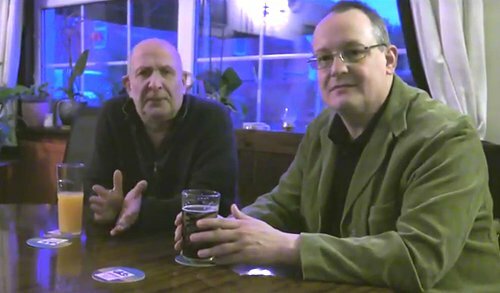 There's not time in 5 shows for everyone to be profiled, but those that were came across as nice, normal(ish - we are talking about people like me who love railways after all) folk you'd be happy to have a pint with. A few of the enthusiast community have taken against the show. 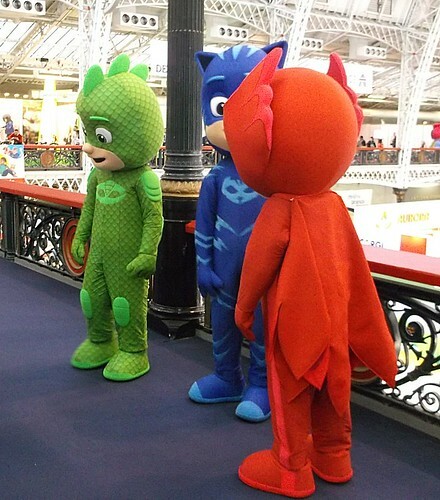 The tone was set by someone posting a rant around 10 minutes in to the first episode which included criticism that those taking part were only looking for their 15 minutes of fame. Since he posted this on several forums, one might suggest he just wanted to shout, "Look at me! 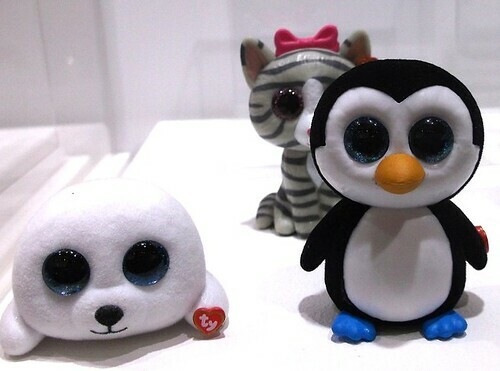 Look at me! I don't like something!!!" Others have suggested it just reinforces all the old railway modeller stereotypes. I disagree. For a start, the participants were much younger and of more mixed genders than a random selection from any model railway or engineering show. 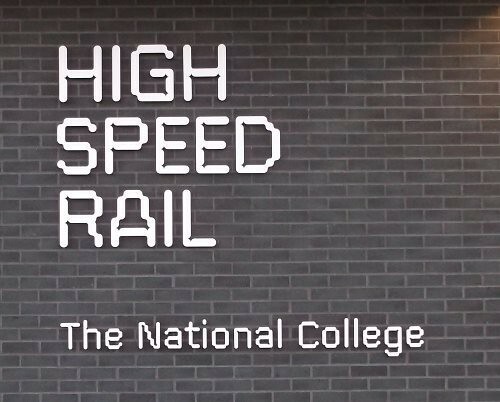 They also represent a wide range of disciplines from railway modellers to real engineers. If stereotypes are to be found, it's in my view, the behaviour of those on-line. Many couldn't understand the idea of entertainment. Tantrums (some very serious) and abuse were thrown around. One group lost its Facebook moderator due to the grief dished out trying to keep discussions polite. That's not the fault of a TV programme, it's the immaturity and general appalling behaviour of a tiny number of enthusiasts. Many can't stand the idea of people who aren't time-served modellers doing something in a hobby they feel very protective of. Railway modelling has provided a "home" to people on the autistic spectrum (which in itself is an excellent thing as we saw in the final show) but that makes some nervous of anyone new getting involved in "their" world and sometimes they can lash out on forums and communicate their thoughts very badly. That said, some people are just very unpleasant, one forumite seemed to have a chip on his shoulder about girls and project managers generally. They weren't going to like it. They weren't going to like anything. The only reason they watched was to be offended. A 5 part series covering the development of a P4 wheel would be more their cup of tea - but this isn't the Open University. A few chose to ride their personal hobbyhorses, mostly around the H&S arena. Yes, they all wore hi-viz and yes, there were lifejackets when they were anywhere near a canal, but if you had a lot of money invested in a TV series, you'd do your level best not to ruin it by killing off a participant. Also, that orange stuff comes in waterproof and probably midgeproof - both pretty useful in the highlands. Interestingly, RMweb scored well for sensible discussion. There were participants on the forum who could explain why certain decisions had been taken and point out life is a lot harder on the ground than sat in front of a screen hundreds of miles away. This made for interesting discussion which I felt added to the show. Those who took part seemed to have enjoyed themselves and are rightly proud of what they achieved. Like any project, not everything went well. Sometimes this made good TV - refilling the gas on a loco when the burner is still lit looks impressive but isn't actually going to do any damage. 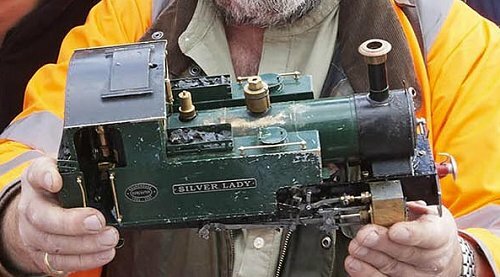 It's an easy beginner mistake too, and many of the drivers had never handled a live steam loco before. Talking about the loco, what a star. One machine ran (nearly all) the length of the line. It needed maintenance along the way, but nothing too major (more on this in the March GR) and is a testament to Roundhouse Engineering. I hope they sell many off the back of it - I know other large-scale traders have already felt the benefit. Ultimately, I enjoyed it, and so did several million other people. It was obviously a heck of a journey for the participants, but they did it and made many friends along the way. Well done all concerned. What's next? While my visit to the London Toy Fair a couple of weeks ago was primarily to look at model railway items, I couldn't resist pointing my camera at a few other things that caught my eye. 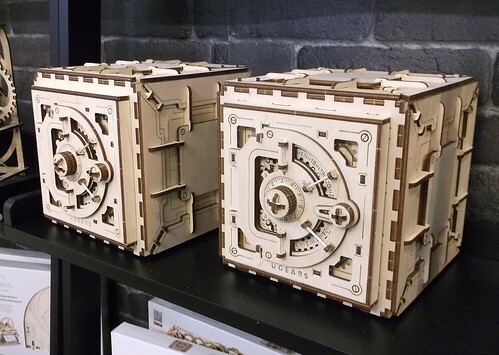 Laser cut wooden safes from UGEARS. A very 50s looking push along truck. 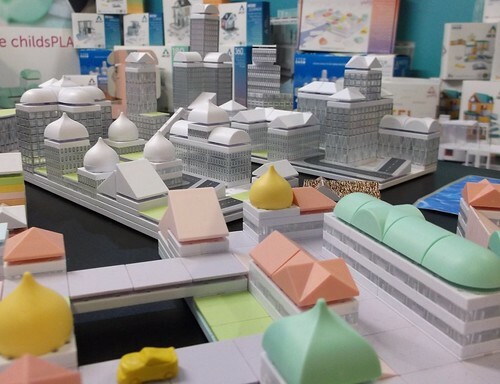 A toy for those who want their child to grow up to be a town planner. Is it wrong that I think wandering around in costume could be quite fun? I'm not a big fan of long videos for the Film Club, but even at just under 14 minutes, I found this one fascinating. We are looking at a very much pre-health and safety world - lots of dust and no masks and someone working in the casting shop who looks about 12 years old. It makes you think though - all those cast iron chairs, they had to come from somewhere. Many thousands of them, all cast by hand. Then drilled and assembled much like model track. There's an interesting Sentinel shunter in the yard too. Nice signwriting and extensions to the bunker not unlike a 1970s Jaguar car. Presumably this was to hold more coal but you wonder why if it works in a yard. Since this is an IP Engineering kit, I thought I ought to use one of their figures. Obviously, Mr Starboard is perfect since he's looking the right way, I have a Mr Port for another project. Slightly cartoony in the manner of most garden scale people, I don't think the camera has been kind. Painted up, he looks rather nice and the eyes don't look so weird. Paint is mostly Humbrol with Lifecolor flesh tones. All the colours were applied and then dry-brushed with a lighter shade. Once dry, a quick and thin coat of Games Workshop inks (black and brown) took care of the shadows. March 2018 sees a BRM with a vintage feel. 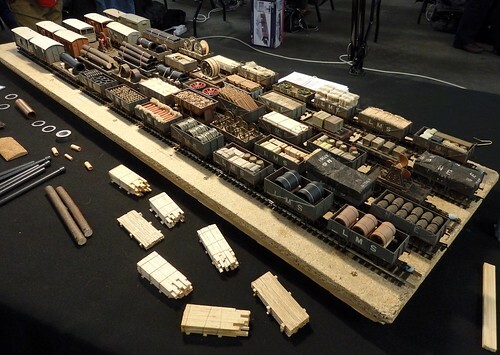 Spotting a couple of Dave Rowe's early layouts at the GCR show started us off on trail of the man himself, which lead to bringing together some of the finest models from the past. My contribution is a retrospective covering Dave and Shirley's modelling career trying to take in all the layouts they built as well as a few funny stories along the way. With such a body of work, it was difficult to fit everything in to the allotted, and generous, space available. Meeting the pair for a chat and to look at some of the automata Dave has built over the years, was a pleasure. It's always difficult as you could be horribly disappointed, but Andy and I enjoyed a day with one of the most enthusiastic people I've met. Model making keeps you young! Didsbury Green goes green this month with loads of electrostatic grass and some trees appearing on the layout. I like this stage, it's when the layout really comes to life, and you get to soften the edges on some of the bodges along the way. DVD watchers will find Andy and I finishing our trip to Pendon with a look at the Madder Valley Railway and discussion on planning a scene to make it interesting to a viewer. Digital magazine readers get even more this time - I take you around the Bachmann trade day, one of those events you can't normally visit. There are products to look and an interviews to watch. Talking over interviews, I have a look at Triang TT, spending the entire time calling my interviewee "Bob" because I mixed him up with someone else. Our electronic version of the mag is growing and if you are unsure whether it's worth a go, this is the issue to download to find out and it's not just me you find in there.